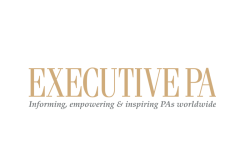 The Executive PA Awards are a fantastic event which hosts up to 300 EAs from around the world. They are the oldest and most established awards for administration professionals and with nominations accepted from 121 countries they are the only EA & PA awards that are run globally. The awards provide a platform to profile and recognise the essential work of the executive support profession to an international audience. There are numerous categories to which nominations can be submitted including one for PA of the Year UK. Last year the winner, Jo Jones from Wellcome Trust Sanger Institute, was flown to Australia to receive her award at the Gala Dinner and hosted in Sydney for a week, courtesy of Executive PA Media. This year the well deserving winner of PA of the Year UK will be flown to Melbourne and hosted there for 5 nights. The winner will also receive their trophy at the awards gala dinner and be featured in the Chief of Staff magazine. Please note that the closing date for nominations is 1st September 2018 and that nominations from HR departments are welcome.